Anne was admitted to the Easterseals SCSEP (Senior Community Service Employment Program) program in June of 2018 after she had been out of work since October 2017. Upon entering SCSEP, she stated that she was completely broke and wasn’t receiving any support from any of her friends or family. On the verge of homelessness and over the age of 55, finding a job was going to be difficult. 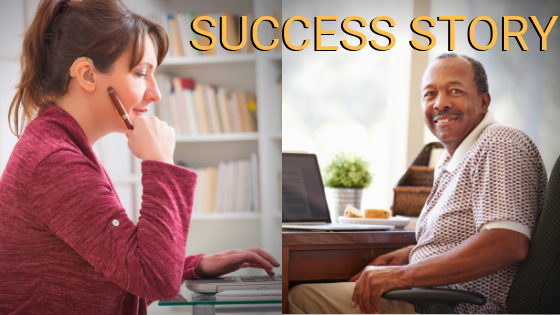 Out of options, she turned to the American Job Center (formerly One Stop Career Center), a government run program that provides employment assistance to those in need. Through their program, she was recommended to the Easterseals SCSEP program. She began training as a clerical assistant at one of the host agency (H.I.P) in Hackensack, New Jersey. She was grateful for the opportunity to return to the workforce even if it was as a trainee. Right from the word “go,” she exhibited exceptional work ethic. She never missed training and was never late. Though it may be unknown to many employers, she was a prime example of what makes “mature workers” (55+) such incredible employees. While working with Easterseals she attended numerous job interviews. The SCSEP team coached her for interviews and assisted with selecting proper interview attire thru Career Closet at Women’s Rights Information Center (a clothing service for job seekers). Finally, after several interviews, she was hired as a Senior Client Manager earning $100,000 per year at 40 hours a week. Boom. This is the true rags to riches story that the con-men won’t tell you about, because it was only made possible through Anne’s desire to succeed, support from an organizations like Easterseals, and most importantly with hard work. 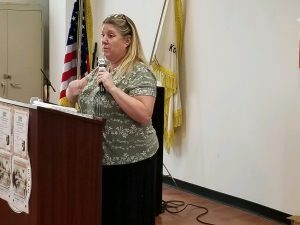 Since achieving her goal, Anne was invited to National Employ Older Worker’s Week Job Fair in Bergen County as a guest speaker to share her success story. She hopes her story will encourage many participants attending this job fair to never stop give up and to seek out the resources available to them, like the SCSEP Program, so they have the support they need to reach their goals. Wonderful! Please visit http://www.easterseals.com/nj/our-programs/senior-services/ for more information! Very inspiring. Love to read success stories like this. Congrats!! Hard work pays off and it sounds like they made a good choice of hiring Anne.